HORSE is called a “Mixed” poker game because it is a combination of five of the most popular poker variations that are played in a rotation. It is considered the ultimate game of skill as to be good players must demonstrate skill in multiple different poker variants. The game of HORSE is quite popular in many land-based and online poker rooms, and is a staple event in the World Series of Poker, as well as other live poker tournaments. Because of its presence in the most prestigious events, it has become increasingly popular for recreational players as well and is well regarded as a chance to showcase a wide range of poker skills throughout all the poker variants. There is no doubt that HORSE is a very advanced game, as players must be familiar with the rules of all 5 poker variants used in this mixed game. It is highly recommended to learn the rules and get some practice time in each poker game variant individually before attempting to play HORSE. Each variant will be played for a set amount of time before switching to the next. The amount of time will vary, but commonly will be one orbit of the table (dealer button passes round each player once). In a tournament, then every time the blind levels change, the game type rotates as well. For example, in a tournament you may play 4 or 5 hands of Texas Holdem at blinds of $1/$2, then switch to Omaha with blinds of $2/$4. The next blind increase would switch the game to Razz, and so on. When the blinds in 7 Card Stud 8 or Better increase, play switches back to Texas Holdem. For example at a $1 / $2 table, you would either use the lower stake of $1 or the upper stake of $2 depending on the game variant you were playing, or stage of the hand you are in. If using the lower stake, then a bet must be equal to $1 in this example. A raise to that bet would be further increment of $1 to a total of $2, and a third raise would be a further $1 increment to $3 and so on. Texas Holdem is the first game played in HORSE and is the one players will be most familiar with, although the slight twist is that it is played in Fixed Limit format, when most players will be used to playing Holdem in No Limit format. In Texas Holdem, each player is dealt 2 cards face down and then must combine these with the 5 community cards dealt face up in the center of the table to make the best 5 card poker hand using any 5 of the 7 cards available to them. To learn how to play Texas Holdem, then review our complete guide to the Texas Holdem Rules. Omaha Poker is based on similar rules to Texas Holdem, but each player receives 4 hole cards and must combine these with the 5 community cards dealt in the center of the table for all players to use. Players must use exactly 2 hole cards and 3 community cards to create the best 5 card poker hand they can. Again this is played in Fixed Limit format, when most regular Omaha players will be more used to playing in Pot Limit or No Limit format. To learn how to play Omaha in more detail, then review our complete guide to the Omaha Poker Rules. Razz is a different game to play as the aim is not to get the highest ranking poker hand, but to get the lowest ranking poker hand. It is played in a similar format to 7 card Stud poker, and each player will receive 7 cards throughout the hand and must use 5 of those cards to form the lowest ranking poker hand. Ace counts as low (number 1) and low hands are read from the highest card down so the best hand you can get in Razz is A-2-3-4-5. 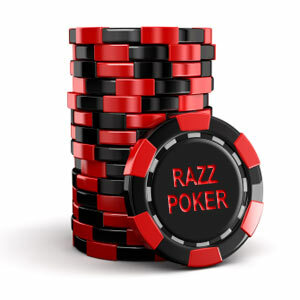 To learn how to play Razz Poker, then review our complete guide to the Razz Poker Rules. Similarly to Razz poker, each player will receive 7 cards throughout a seven card stud hand. The objective is the reverse of Razz and is to get the highest ranking poker hand. 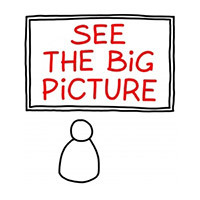 In Stud based games there are no share or “community” cards like there are in Holdem and Omaha, and players can only use the cards that are dealt to them. To learn how to play 7 Card Stud, then review our complete guide to the 7 Card Stud Rules. 7 Card Stud 8 or Better is sometimes called Hi Lo or High Low and is a sight variant to the regular 7 card stud. Again each player is dealt 7 cards throughout a hand, but this time they have a mixed objective and two different hands to make from those 7 cards. The first is to make the highest ranking 5 card hand just as is regular 7 Card Stud. 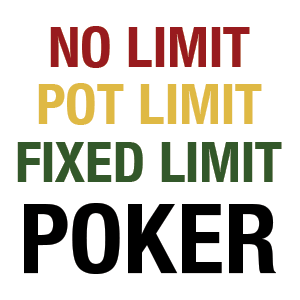 The player who achieves this will receive half of the winning pot. The second is to make to lowest ranking 5 card hand, similar to Razz, however there the difference is the hand must qualify by having no card higher than an 8. The player with the lowest ranking qualifying hand will receive the other half of the winning pot. If no player has a qualifying low hand then the entire pot is awarded to the high hand winner. To learn how to play 7 Card Stud Eight or Better, then review our complete guide to the 7 Card Stud Rules. Where to Play HORSE Poker? We recommend Pokerstars for a great place to play HORSE Poker. To find out more about them see our Pokerstars Review or to see alternate rooms to play HORSE Poker then see the Professor's reviews in our Poker Reviews section.